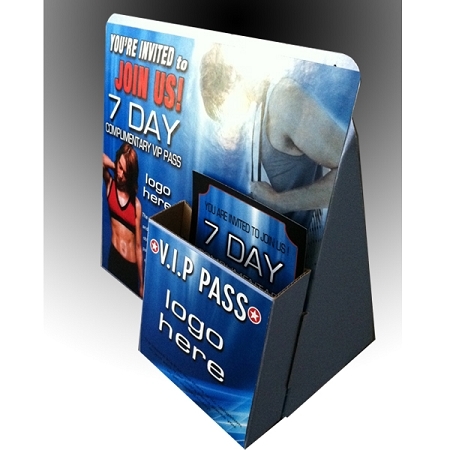 VIP Cardboard Take One Holders(8.25"w x 8"h) with pocket(4"x4") and VIP passes(3.5"w x 5.5"h). Choose your artwork from our artwork templates. 15 Artwork Decal Stickers for the display area and pocket - Choose your artwork from our artwork templates. 1. Add this package into cart and select a maximum of three packages from this category. 2. Choose design Template (Click Here - Art Design Templates). DO NOT add template design into your cart. 3. To add logo to design please upload file in "ADD LOGO" link above. 4. We will confirm via email or phone. 5. 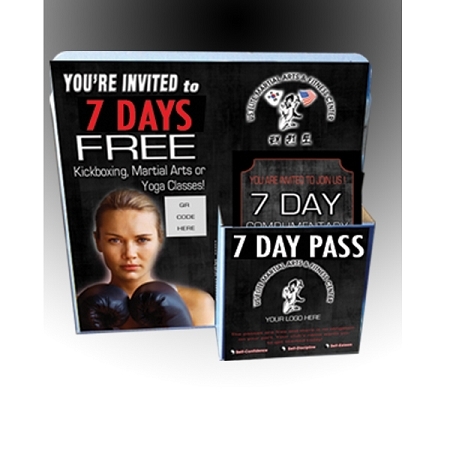 You will receive a proof within 24-48 hours of your design.